The Scout continues his selection of five Fantasy Premier League players to consider ahead of Gameweek 6. Burnley's towering centre-back has enjoyed a superb start to the season. Over the first five Gameweeks, he leads all defenders for clearances, blocks and interceptions (CBI) with 76 and averages a CBI every 5.9 minutes. Last season's leading defender for that metric, AFC Bournemouth's Steve Cook (£4.9m), recorded a CBI every 7.3 minutes. 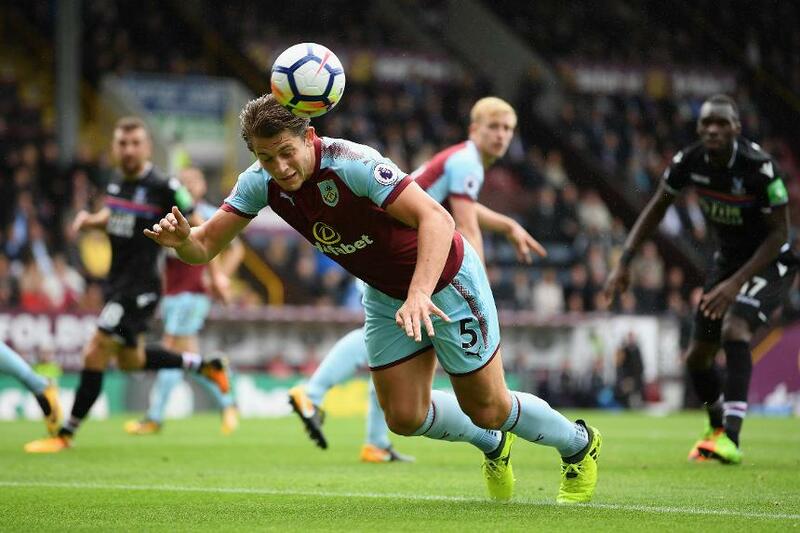 Players earn a point in the Bonus Points System for every three CBIs recorded, which suggests Tarkowski could benefit from bonus points when Burnley shut out opponents. He has also proved formidable in the air, with no defender winning more headed duels (26). With Robbie Brady (£5.5m) supplying set-pieces, it seems only a matter of time before Tarkowski's aerial threat pays off in the opposition's penalty area. For now, points from clean sheets should be the expectation. Sean Dyche's side produced their first shutout in the 1-0 home win over Crystal Palace and Burnley have shown strong defensive resolve. They conceded only five big chances, or gilt-edged opportunities, at Chelsea, Tottenham Hotspur and Liverpool. Burnley's home fixtures now look key to their appeal. Six of their next seven matches at Turf Moor score only two in the Fixture Difficulty Rankings (FDR). On Saturday, Burnley host Huddersfield Town, who since Gameweek 2 have scored two goals in four matches. Huddersfield have created a league-low two big chances over that spell. Ben Mee (£4.5m) is the most popular pick in the Burnley backline, in 7.2% of squads, while Tarkowski claims only 0.2% ownership. Mee has seven shots in the penalty area this season, compared with three for Tarkowski. But Tarkowski's propensity to dominate in the air and collect CBIs could make him a worthy differential. With a resilient Burnley boasting strong home fixtures, acquiring one of Dyche's centre-backs looks a wise investment.